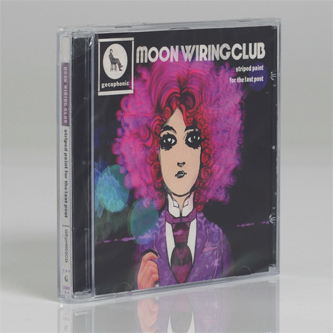 ‘Stripped Off And Chairs Away’ is the third album from Ian Hodgson’s Moon Wiring Club. Taking more of a discernibly 80s bent than its predecessors, this record shows Hodgson getting far more in tune with his percussion and low-end pressure. On tracks such as ‘Shape Ritual’ or ‘Foxy Mind’ for example, synth-funk basslines hop around chunky disco-influenced beats, and while all the sounds are obviously sampled from old TV programs (still) there’s a sense that the music is sidling ever closer to something you could almost play at a club. This album is the point where I think Hodgson’s vision started to cross over with the hypnogogic pop dribbling from the USA. That cassette-reared scene led by Ducktails, James Ferraro and Ariel Pink, which angled its fixations squarely at the early 80s seems to permeate Hodgson’s vision (or possibly vice versa) on tracks such as ‘Teacake Time’ or ‘Ancestors Approach’, but Hodgson does it with a stiff-lipped British eccentricity that is hard not to fall in love with. 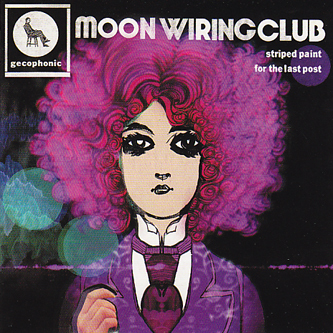 There is an air of the classic Peter Serofinowicz TV comedy ‘Look Around You’ or possibly even Chris Morris’s ‘Blue Jam’ about Moon Wiring Club, and ‘Stripped Paint For The Last Post’ might just be the best example of this curiously comic tinged brand of hauntological pop. A huge recommendation.